Embedded Artistry was founded with the goal of creating reliable, safe, and well-tested embedded systems. The sad fact is that most embedded software that we've encountered is low-quality and untested. Perhaps this holds true for most of the software industry - the continual procession of hacks, flaws, and errors is discouraging. We are focused on ways that we can all improve at our craft. Testing our systems, especially in an automated way, is a direct approach at identifying bugs early and improving our software quality. We decided to make our list of testing resources publicly available. If you have any favorites which aren't listed here, leave us a comment! Most developers know they should be writing unit tests as they develop new features. If you're unfamiliar with the concept, unit testing focuses on testing the finest granularity of our software, the functions and modules, in an independent and automated manner. We want to ensure that the small pieces operate correctly before we combine them into larger cooperating modules. By testing at the finest granularity, we reduce the total number of test combinations needed to cover all possible logic states. By testing in an automated manner, we can ensure that any changes we make don't introduce unintended errors. "A key advantage of well tested code is the ability to perform random acts of kindness to it. Tending to your code like a garden. Small improvements add up and compound. Without tests, it's hard to be confident in even seemingly inconsequential changes." Unfortunately, at Embedded Artistry we’ve only worked on a handful of projects that perform unit testing. The primary reason for this is that many developers simply don’t know where to start when it comes to writing unit tests for embedded systems. The task feels so daunting and the schedule pressures are so strong that they tend to avoid unit testing all together. James Grenning has put a tremendous amount of effort into teaching embedded systems developers how to adopt TDD. He published an embedded systems classic, Test-Driven Development for Embedded C and conducts TDD training seminars. I took James Grenning's Remote TDD training webinar and wrote about my experience on the blog. Matt Chernosky, who runs the Electron Vector blog, is an invaluable resource for embedded unit testing and TDD. If you are having a hard time getting started with unit testing and TDD, Matt's articles provide a straightforward and accessible approach. Throw the Switch created the Ceedling, Unity, and Cmock unit testing suite. This is the trio of tools that Matt Chernosky uses and writes about. Aside from creating testing tools, Throw the Switch maintains a library of test-related articles and a course called Unit Testing & Other Embedded Software Catalysts. Additional courses related to unit testing for embedded systems are being developed. Listed below are frequently recommended unit testing frameworks for C and C++. There are more unit testing frameworks in existence than we can ever review, so again this list is not exhaustive. If nothing jumps out at you in this list, keep looking to find one that fits your team’s development style. We already mentioned the Throw the Switch C unit testing frameworks:Unity, Cmock, and Ceedling. Cmocka is the C unit testing framework we started with. Cmocka ships with built-in mock object support and operates similarly to Unity & CMock. The framework is built with C standard library functions and works well for embedded systems testing. Catch appears to be the most popular C++ unit testing framework. Catch is a header-only library which supports C++11, C++14, and C++17. Doctest is the unit test framework we use for EA’s C++ embedded framework project. Doctest is similar to Catch and is also header-only. Our favorite attribute of Doctest is that it keeps the test code alongside the implementation code. Doctest also enables you to write tests in headers, which Catch does not support. 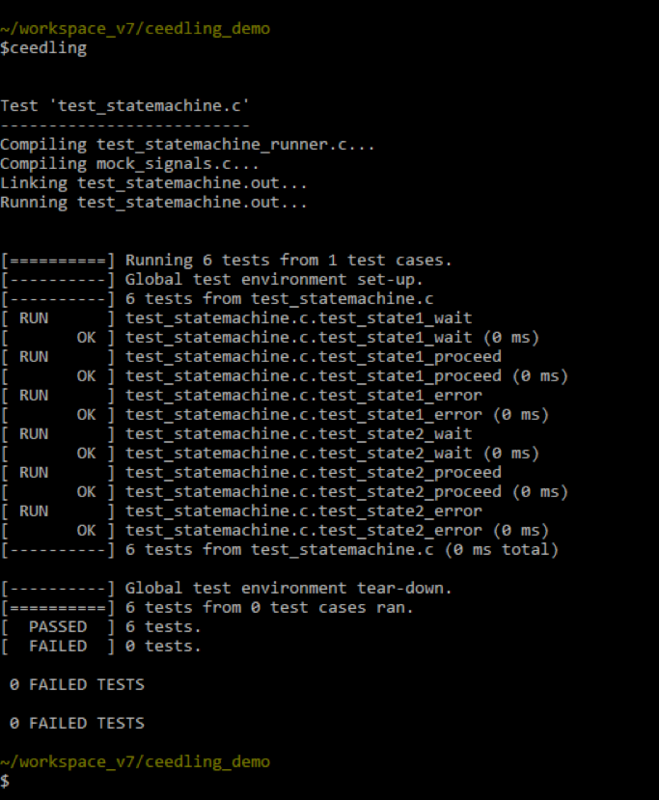 GoogleTest is Google's C++ unit testing framework. GoogleTest is one of the few C++ frameworks with built-in mocking support. CppUTest is a C++ test suite that was designed with embedded developers in mind. 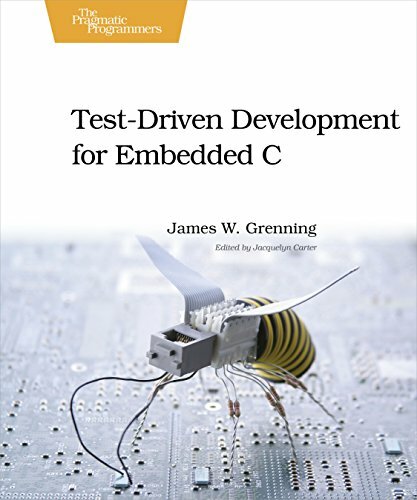 This framework is featured in James Grenning's book Test-Driven Development for Embedded C. C++ features within the framework are kept to a minimum enabling it to be used for both C and C++ unit testing. CppUTest has built-in support for mocking. If you're interested in mock object support for C++, check out GoogleMock, Trompeloeil, and FakeIt. Each of these mocking frameworks can be integrated with the unit test frameworks mentioned above. Steve recommended Jeff Langr's Modern C++ Programming with Test-Driven Development: Code Better, Sleep Better as another resource for embedded C++ developers. .
We always want to run as many tests as possible on a host PC when unit testing embedded systems code. However, we can’t test every aspect of our system on a host machine. Before shipping the final system, we need to evaluate the target compiler, issues which only present themselves on the target (e.g. endianness, timing), and the actual target hardware and hardware interfaces. Metal.test is a framework which can help us with on-target testing. Klemens Morgenstern, an independent contractor and consultant, maintains this project. Metal.test enables automated execution of remote code using debugger hardware, such as J-LINK or ST-Link. The project supports gdb, and he has lldb support planned for a future release. Metal.test also includes a plugin system. While it's not essential, plugin support enables developers to extend the functionality to support any use case that a debugger can support. Klemens is looking for feedback on metal.test. Don't hesitate to reach out with questions, issues, or other feedback. Phil Koopman is a professor at Carnegie Mellon University. He also runs the Better Embedded Software blog, which is a must-read for embedded developers. Phil has produced an immense and invaluable body of work, much of it focused on embedded software quality. The lecture notes for his embedded systems courses are available online, and he posts lecture videos on his Youtube channel. Embedded Software Quality: Why is it so terrible? What can we do about it? If you have a testing resource that you love, leave us a comment below and we will add it to the list! Matt published a free guide for using Ceedling for TDD . If you are experienced with TDD but are looking to improve your Ceedling skills, check out his Ceedling Field Manual. Throw the Switch created the Ceedling , Unity , and Cmock unit testing suite. This is the trio of tools that Matt Chernosky uses and writes about. Aside from creating testing tools, Throw the Switch maintains a library of test-related articles and a course called Unit Testing & Other Embedded Software Catalysts . Additional courses related to unit testing for embedded systems are being developed. We already mentioned the Throw the Switch C unit testing frameworks: Unity , Cmock , and Ceedling . CppUTest is a C++ test suite that was designed with embedded developers in mind. This framework is featured in James Grenning's book _ Test-Driven Development for Embedded C _. C++ features within the framework are kept to a minimum enabling it to be used for both C and C++ unit testing. CppUTest has built-in support for mocking. If you're interested in mock object support for C++, check out GoogleMock , Trompeloeil , and FakeIt . Each of these mocking frameworks can be integrated with the unit test frameworks mentioned above. 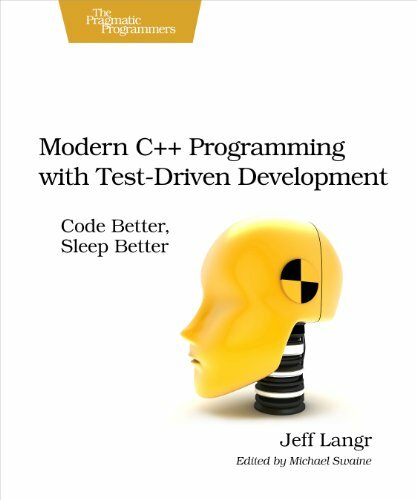 Steve recommended Jeff Langr's Modern C++ Programming with Test-Driven Development: Code Better, Sleep Better as another resource for embedded C++ developers. Metal.test is a framework which can help us with on-target testing. This project is maintained by Klemens Morgenstern, an independent contractor and consultant. Metal.test enables automated execution of remote code using debugger hardware, such as J-LINK or ST-Link. The project currently supports gdb, and lldb support is planned for a future release. Klemens is looking for feedback on metal.test . Don't hesitate to reach out with questions, issues, or other feedback. Phil Koopman is a professor at Carnegie Mellon University . He also runs the Better Embedded Software blog , which is a must-read for embedded developers. Phil has produced an immense and invaluable body of work, much of it focused on embedded software quality. The lecture notes for his embedded systems courses are available online, and he regularly posts lecture videos on his Youtube channel . I've been adding unit tests to my C-based projects with the CMocka testing framework. 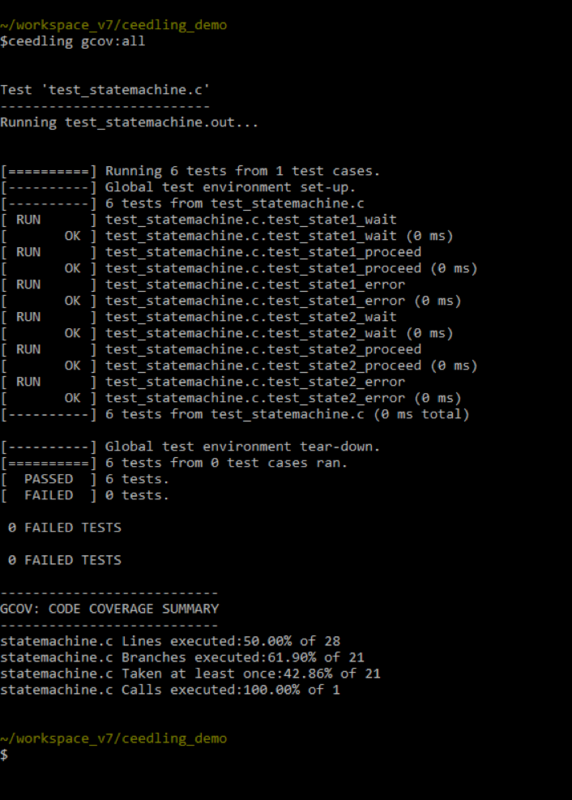 Now that I have tests defined, I want my build server to run the tests and track the results for each build. Jenkins requires test results to be reported in the JUnit XML format. Luckily, CMocka has built in XML support that's quite easy to enable. You can also change CMocka's output behavior using the CMOCKA_MESSAGE_OUTPUT environment variable. Note that CMOCKA_MESSAGE_OUTPUT has higher precedence than the cmocka_set_message_output API, so you can override a test program's default formatting behavior. Possible values for CMOCKA_MESSAGE_OUTPUT are stdout, subunit, tab, or xml. Options are case-insensitive. By default, XML output will be printed to stderr. In order to write the results to a file, you must define the environment variable CMOCKA_XML_FILE. If the file already exists or cannot be created, CMocka will output the results to stderr instead. I like to organize my tests into multiple groups. This causes CMocka to generate invalid XML, as too many top level tags exist in the file. Jenkins will fail to parse the file, and you will also find that tools like xmllint will report errors. To work around this, you can enable CMocka to generate a separate XML file for each test group. Simply include "%g" in the filename definition. The "%g" characters will be replaced by the group name. You must use the cmocka_run_group_tests or cmocka_run_group_tests_name APIs to successfully generate XML test results. All other testing APIs will result in summary output instead of XML output. Here's a sample from the Embedded Artistry libc repository. I place my test results inside of my buildresults directory, which is untracked and gets cleaned by the build server.